Sir David Frost travels to Havana, Cuba, to meet the world’s most celebrated male ballet dancer in his homeland. In this episode of The Frost Interview, Sir David Frost travels to Havana, Cuba, to learn how a boy who used to run the streets barefoot became the world’s most talented ballet dancer. Carlos Acosta’s family was desperately poor. Pedro, his father, had fallen in love with ballet when as a young man, he had sneaked into a cinema that was reserved for whites to watch grainy pictures of ballet dancers. When Pedro heard that Cuba’s ballet schools offered free food, he sent his son Carlos off to ballet school. Reluctant at first, the young Acosta quickly thrived, and by the age of 16 he was already internationally renowned. “I wanted to become a footballer … but obviously my father had different plans,” Acosta tells Sir David. He speaks to Sir David about how it felt to be an impoverished outsider in a world generally reserved for the privileged, and what it meant to his family when he achieved a level of success which no one could have ever dreamed of. Sir David shows Acosta clips of himself returning years later to Havana as principle dancer with the Royal Ballet, and we see the delight on his face as he relives the experience of bringing one of the world’s premiere ballet companies to Havana. Acosta also tells Sir David of his plans to help realise the long-held Cuban dream of an architecturally-outstanding, world-class ballet school forming part of a City of the Arts on the grounds of a former golf club. A schoolboy is pirouetting his way towards his dream after being awarded a place at one of the world’s greatest ballet schools. 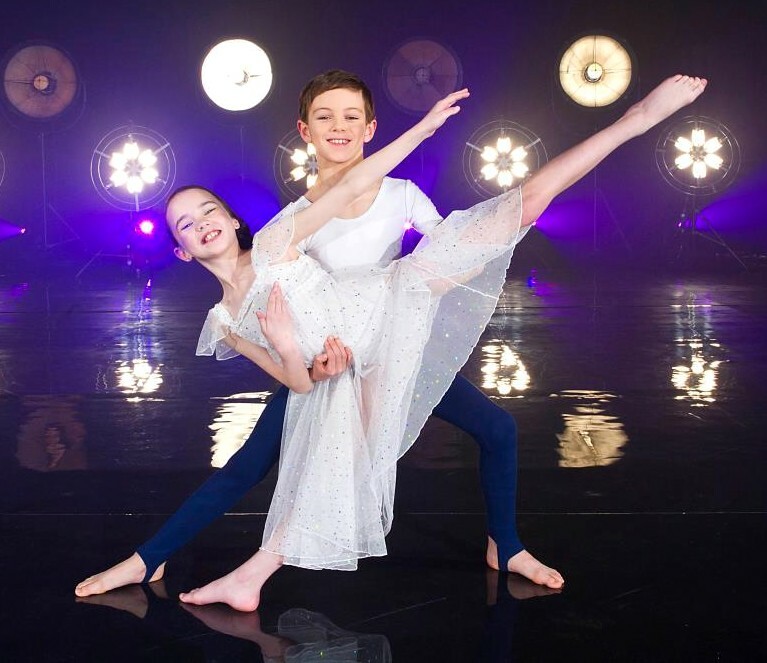 Louis Scrivener, 11, a pupil at Sherborne House School in Chandler’s Ford , has become one of just 24 pupils selected for the Royal Ballet School in September. Louis first developed a love for ballet at just five years old after watching Swan Lake and Romeo and Juliet with his family one Christmas. In January 2006, his mother enrolled him at the Sally Johnson Academy of Dance where he learned ballet, tap, modern and jazz dance. 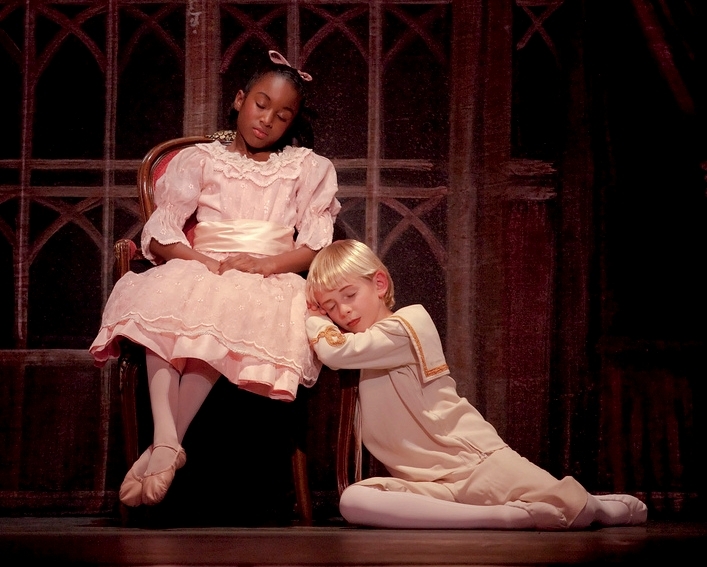 A Royal Ballet associate, Louis landed his first role in their production of Sleeping Beauty in 2011 and will join fellow students in The Nutcracker at The Royal Opera House later this year. He has also performed with Sally Johnson Academy of Dance in Dance Proms at The Royal Albert Hall and took first place at the All England Dance National Finals. I have to admit that when my oldest son was 3 years old, I automatically signed him up for the usual boy activities, soccer, basketball, and t-ball, not even considering that there might be other options besides sports for him. When my middle son Gabriel was at the age to get involved, I just figured that he would follow the same path. Thank goodness for his twin sister. At four, she joined a tumble class and since there was another boy in the class, my husband and I asked Gabriel if he wanted to join too. At the school’s most recent recital I watched my shy, introverted son transform into a confident performer. Boys bring their own pizazz to the stage. As male dancers gain more visibility in all male casts on Broadway like “Newsies” and movies like “Step Up Revolution,” hopefully more parents will see how the arts benefit all children, not just our little girls. This visibility is not just in Hollywood or New York City though. It can also be found on the web. More news outlets are writing articles about how it is becoming more acceptable, and all male ensembles like “Against the Grain/Men In Dance” are increasing in popularity. On one site, a group of boys along with their parents have their own blog about ballet. There is even an online specialty clothing shop geared towards boys. Cute ballet duo Tayluer and Elliott were today working hard to top their last Got To Dance routine, which wowed fans including Boy George. Tayluer Amos, 10, and Elliott Hanna, eight, have not stopped smiling after winning a spot in the Sky 1 show’s live final. She admitted they had a “challenging” few weeks ahead, but said the pair could more than handle the pressure. 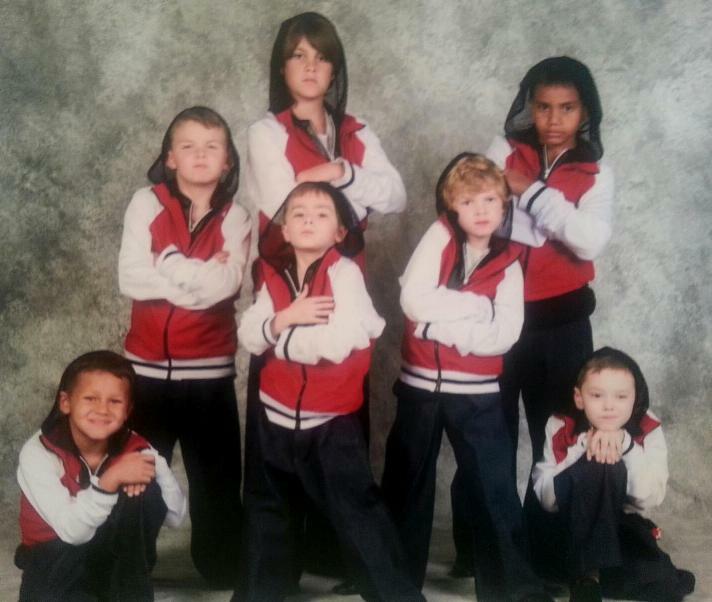 She said: “They are two very focused, lovely young children who simply love to dance. And I think that is why they did so well, as their lovely personalities and their obvious dedication shone through. They will perform in the Got To Dance finale in front of 6,000 people in London on Sunday, March 4 at 6pm on Sky 1HD. It turned out to be a good suggestion. Trummel, who is currently performing in the illustrious Oregon Ballet Theatre’s production of Pyotr Ilyich Tchaikovsky’s “The Nutcracker,” has been invited back year after year by the OBT to perform with the company’s troupe of seasoned dancers. He has also received hundreds of dollars in scholarships from the OBT to help offset the cost of tuition for the classes Trummel takes when he is not busy practicing for a performance. Strelkauskas then looked for opportunities for Trummel to dance in the Gorge. Lessons were available at the Columbia Gorge Dance Academy in Hood River, but not for the summer when Trummel wanted to take them. The decision was then made to take classes at the School of Oregon Ballet Theatre in Portland, Ore., a professional institution that dubs itself “one of the pre-eminent ballet schools in the country.” Trummel had to audition for the school, which deemed the youngster worthy enough for its instruction. Trummel’s schedule requires that he leaves school about 30 minutes early on Mondays, Fridays, and the occasional Wednesday that is not early release. However, this has not interfered with his schoolwork, as Trummel will go in early or use his lunch period to complete assignments, as well as participating in Whitson’s Talented and Gifted after-school program. Trummel’s fourth grade classmates have also been generally supportive of his artistic endeavors. Every once in awhile though, he says a student will deride him for his interest in ballet, particularly because he is male. Whitson students got to decide for themselves last year when the PTO furnished transportation for every member of Trummel’s class to see him peform in OBT’s 2010 run of “The Nutcracker.” Strelkauskas was able to help procure individual tickets for the students at a paltry $5 a pop. Preparing for these performances takes a large degree of dedication and attention, particularly for an elementary student. Strelkauskas explains that the OBT’s production of “The Nutcracker” uses the version laid out by the late choreography virtuoso, George Balanchine. 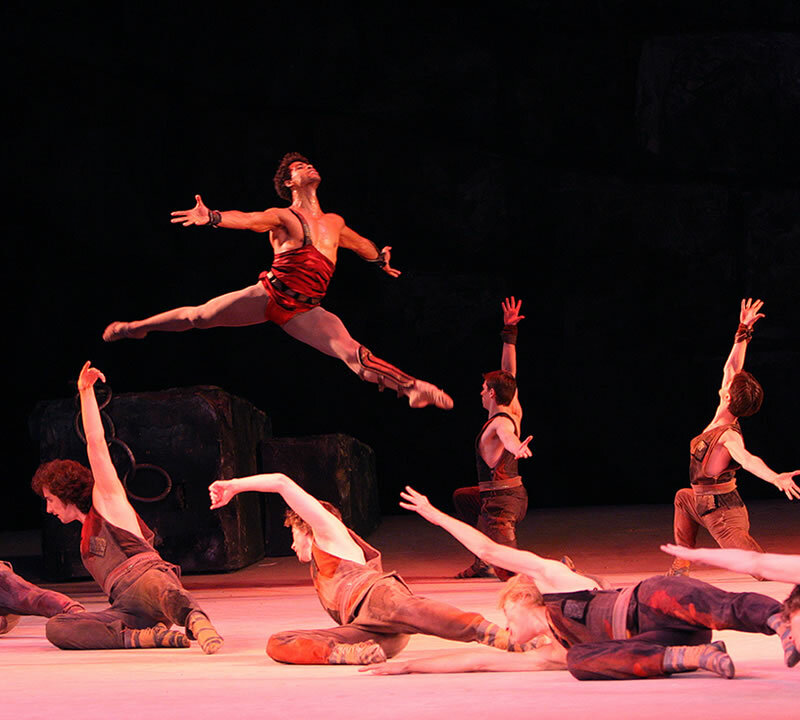 Considered intellectual property, dancers must perform the copywritten steps exactly as outlined by Balanchine decades ago. Additionally, Trummel says even if there is an act currently being rehearsed that does not require him to be on stage, he still must sit in the audience and pay attention in case a correction is made for the performance. During the weeks of the actual performance, Trummel is required to show up already in light makeup hours before the show even starts. In “The Nutcracker,” Trummel plays the role of Fritz: the unruly brother who smashes the titular Nutcracker, which is a toy of his sister, Clara. After the play closes at Keller Auditorium on Christmas Eve, Trummel plans on continuing with the OBT and would perhaps like to have a career as a ballet teacher or a vet, like his mother. Both his mother and his grandmother started ballet when they were five and Trummel hopes to pass this love of dance onto his own children, just as it has been passed down to him. © 2011 Eagle Newspapers, Inc. This is a story which appeared in the Greenwich Times last January. A 13-year-old Greenwich resident is making his mark in the competitive New York City ballet scene. Addison Albano, an 8th-grade student at Brunswick School, is dancing as “Fritz,” one of the main characters in the The Nutcracker, performed by the American Ballet Theatre. He’s thrilled to be a part of the prestigious show. Rising Waiheke dance star Kit Reilly talks to Julianne Evans about the first steps towards his dream job. The day 14-year-old Kit Reilly found out he’d been accepted by the prestigious New Zealand School of Dance, he was in the middle of class at Takapuna Grammar. “Mum had the envelope at home and asked me if I wanted her to open it; and I could tell she really wanted to,” he laughs. The letter confirmed that Kit’s audition to become a ‘junior associate’ of the school had been successful and his first challenge would be in January 2012, when he was offered a week of master classes in Wellington. Auditions for the school were held around the country in November and about 200 young hopefuls attended. Only seven new dancers were finally chosen. The Junior Associate programme nurtures the next generation of New Zealand dancers, catering for a small number of notably talented young students aged 13 to 16, who show natural potential for both classical and contemporary dance. The idea is to provide complementary tuition while students who hope to attend the school full time in the future, continue to study with their own dance teachers. Kit hopes to go to classes in Wellington over four weekends next year where he will be appraised by staff, teachers and the head of the programme to see if he’s got what it takes to reach to the next level. And wherever possible, he says, the junior students enjoy an active relationship with the Royal New Zealand Ballet, including master classes with the company when they are on tour. They are also offered a partial scholarship to attend the annual winter school. The cost of the classes is covered but the travel and accommodation will be extra which is where the supportive parents come into it. Exciting stuff for a boy who has been dreaming of a career in the performing arts since he was seven. And now he lives and breathes it, attending about five classes a week in jazz, contemporary, tap and ballet at two different schools; the Devonport School of Dance, and the Rose McRae Dance Academy which runs classes on Waiheke. I wonder how he settled on dance in preference to acting. Does he get nervous? “Yes, I was very nervous when I had to do a solo piece as part of the end of year recital for my dance school at the Bruce Mason Centre.” But fortunately, it was alright on the night. The life of a professional dancer is notoriously tough; does he think he can cope? He admits that last year, he had an exam result he was less than happy with. And in an ideal world, what does the future look like? Well, the odds are pretty good if he is accepted and graduates. Sixteen of the 24 students graduating from the New Zealand School of Dance in November this year have already secured professional jobs. The class of 2011 will be taking up positions in among others, the West Australian Ballet, New Zealand contemporary company Black Grace, the Singapore Dance Theatre, the Royal New Zealand Ballet and the Sydney Dance Company. 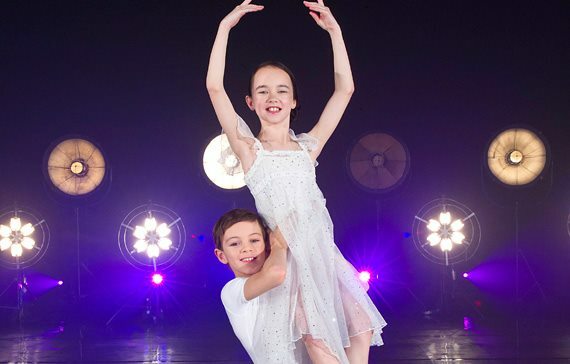 A schoolboy from Lincoln has been selected to train at a ballet school which has turned out stars for some of the biggest dance companies in the world. At just 16, Thomas Arnold has started studying a three-year degree in professional dance and performance at the Central School of Ballet (CSB), in London. He was one of only 38 pupils accepted from more than 420 applicants for a place on the course. The school has seen performers go on to dance with the English National Ballet, Ballet Ireland, Ballet Boyz and the Singapore Ballet. “I started dancing after I went with my mum to her tap class when I was four,” said Thomas, from the West Parade area of the city. I’m not quite sure what keeps me so focused, but I like the competition ballet offers. There is always something to work for, you can never be perfect. My ambition is to go on and do this professionally. Thomas spends around six hours a day doing ballet and other types of dance such as contemporary movement and Spanish styles. The other three hours of the working day – which he attends Monday to Friday as well as Saturday morning – are spent on academic work which makes up around 30 per cent of the course. To get a place he had to dance in front of the teachers, all of whom are ex-professional dancers. Before landing the place at CSB, he had attended the Elmhurst School of Dance in Birmingham where he gained one A* and four As at GCSE. The places at CSB are funded as a regular university place would be, with fees this year being around £3,000 and expected to rise to £9,000 in line with the increases next year. 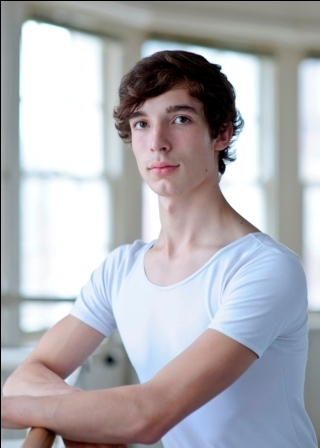 During his final year Thomas will join the school’s touring company Ballet Central, which visits venues across the UK.